Stiga table tennis equipment is a world renowned brand. Sweden's Stig Hjelmquist founded Stiga in 1934 when he started an importing / wholesale business in Tranas, Sweden. 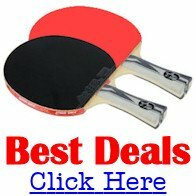 But it was in 1944 that the manufacture of Stiga table tennis products first began. However, the Stiga brand is not just about table tennis equipment. Stiga also manufacture lawn mowers and garden equipment - which are now part of GGP (Global Garden Products). In 1966, Bengt Bandstigen founded Banda table tennis and in 1983 he added table tennis equipment from Stiga to his product range. The brand name has passed through many different hands since it's inception in 1944, but it now rests with Sweden Table Tennis AB - a company part owned by the Bandstigen family in Sweden and Escalade Sports in the USA. Read my interview with Mats Bandstigen here. The Stiga brand is widely recognized for producing some of the best table tennis equipment in the world and they signed a ten year agreement with the Swedish national table tennis team which ran from the 1 July 2003 until 31 December 2013. Alongside China, the Swedish table tennis team have been one of the most famous in the world, and this undoubtedly helps to promote the Stiga brand all over the world. Indeed, Stiga work very closely with the Swedish Table Tennis Association in order to grow the sport and to make sure that Sweden continues to be one of the leading table tennis nations in the world. In 2003, Escalade Inc. (based in Indiana, USA) increased its ownership in Sweden Table Tennis AB from 37.5% to 50%. This meant that Escalade Sports, who manufacture and sell a variety of sporting goods including table tennis equipment, sell their table tennis equipment under the Stiga brand name. Want to know more about Stiga table tennis equipment? 2014 was a special year for STIGA.